Weddings... They do take a little bit of planning dont they? (which is why we have our own team of wedding planners to help our Gretna Green couples). However, imagine adding "Training for a 980 mile cycle from Land's End to John O'Groats" to the to-do list...We certainly can't but yesterday we met a wonderful couple who did just that! 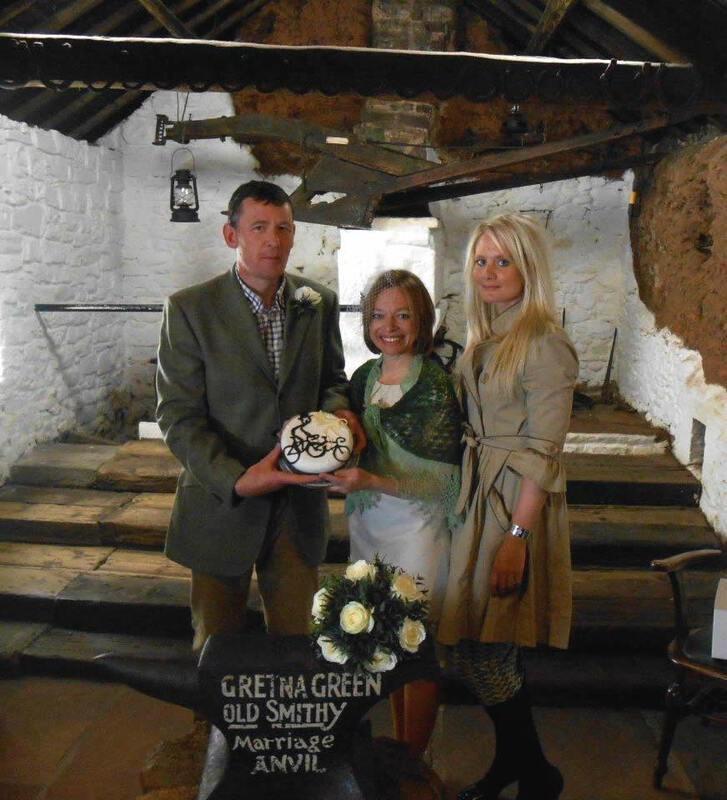 As our way of saying congratulations to the happy couple and to celebrate them reaching Gretna Green, we thought it would be a nice gesture to present them with a bicycle-themed cake! (pictured here with one of our wedding co-ordinators at Smiths Hotel, Sophie Lytollis). So, if you're about on these days and you see the couple, be sure to wish them congratulations. What a fantastic idea to celebrate getting married and we wish the new Mr and Mrs Jameson all the best for the rest of this journey and their married life.